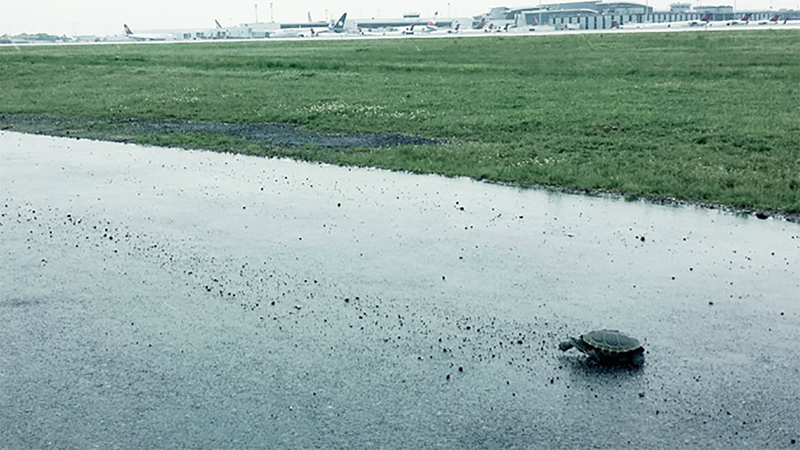 JAMAICA, Queens -- Some flights at New York's Kennedy Airport were briefly delayed by turtles. The Port Authority of New York and New Jersey says about 40 diamondback terrapins crawled out of Jamaica Bay and onto the airfield at about 4:45 p.m. Friday. Authority spokeswoman Cheryl Albiez told the Daily News that some planes "were briefly stuck in queue" while the turtles were being rounded up. Port Authority wildlife specialists collect the animals that wander too close to the runway and release them to safer areas.